Demonstrate international support for Nigeria’s democratization process. The second assessment delegation was comprised of: Robert Benjamin, Senior Associate & Regional Director for Central and East Europe, NDI (USA); Mvemba Dizolele, Professorial Lecturer at Johns Hopkins University’s School of Advanced International Studies (Democratic Republic of the Congo); Sarah Jegede-Toe, Co-Chair, Liberia National Elections Commission (Liberia); Anna Jones, National Network Coordinator, WANEP-The Gambia (The Gambia); and John Tomaszewski, Africa Director, IRI (USA). The delegation met with a wide array of election stakeholders, including the Independent National Electoral Commission (INEC), political party and religious leaders, civil society representatives, security forces, academics, and representatives of the international community. In addition, the delegation traveled to Osun State to meet with electoral stakeholders ahead of the off-cycle gubernatorial election on September 22, 2018 and visited several polling units in the cities of Osogbo, Ilesa, Ede, and Ofatedo on voting day to witness the conduct of the election within the framework of preparing for the 2019 general elections. The delegation expresses its deep appreciation to everyone with whom it met for sharing insights from which the mission benefited greatly. The delegation conducted its activities in accordance with the laws of Nigeria and the Declarations of Principles for International Election Observations, which was launched in 2005 at the United Nations. Both IRI and NDI have deployed international election observation missions to all general elections in Nigeria since the 1999 transition from military to civilian democratic rule. IRI and NDI are nonpartisan, nongovernmental organizations that support and strengthen democratic institutions and practices worldwide. The Institutes have observed collectively more than 200 elections in more than 50 countries over the last 30 years. IRI and NDI will deploy a joint international delegation to observe the presidential, National Assembly, gubernatorial and state assembly elections in Nigeria in 2019. Nigeria’s 2019 elections will be an important step for the country’s democracy. If successful, the elections would consolidate democratic gains achieved in the last two decades since the transition from military to civilian democratic rule. The elections are also expected to be closely competed among the major political parties. President Muhammadu Buhari is seeking reelection after historic elections in 2015 when the country experienced its first transition of presidential power from the People’s Democratic Party (PDP)—which had been in power since the transition from military to civilian democratic rule in 1999—to the All Progressives Congress (APC). Numerous positive developments have occurred since the 2015 elections that enhance today’s electoral environment in Nigeria. Some of these developments were noted in IRI/NDI’s first pre-election statement. 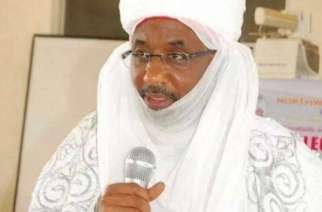 For example, the Independent National Election Commission (INEC) has improved the voting process, notably through the introduction of continuous voter registration, adoption of simultaneous accreditation and voting, improvements to the secrecy of the ballot, and advancement of the smart card reader technology. Young people are also more motivated to participate in politics and hold their representatives accountable through initiatives as the Not Too Young To Run campaign. Citizens are also deeply committed to democracy. Afrobarometer’s 2017 survey found that 72 percent of Nigerians agreed that democratic elections are the best means of choosing their country’s leaders. Despite the above improvements in the administrative and procedural aspects of the voting process, deficits in the political process could undermine the democratic character of the 2019 elections. Numerous interlocutors commented on the lack of equitable competition within political parties regarding candidate selection, and, relatedly, a penchant among parties to induce voter support through means that run contrary to the spirit of democratic franchise. For many Nigerians, the pervasive role of money in the campaign process lies at the heart of these concerns. Improvements to election administration – The delegation notes that INEC has initiated several measures to improve the efficiency and effectiveness of voting since the last pre-election assessment mission. Citizen observer group YIAGA Africa stated that the September 22 Osun State poll was an improvement over previous elections in Anambra and Ekiti states in that most sensitive and non-sensitive election materials arrived on time thus facilitating the punctual opening of polling units, poll workers were deployed early, and results were posted in the polling units. The delegation also notes that INEC has improved efforts to recruit staff, particularly women, and provide better training, which can yield more uniform polling unit operations and clear roles and responsibilities among various polling officials. Enhancement of the ballot secrecy – During the Ekiti election, citizen observer groups as well as IRI/NDI’s delegation noted deficiencies in ballot secrecy in some polling units during the process and offered recommendations to address these issues. For the Osun election, INEC instituted measures that enhanced ballot secrecy, including providing additional guidance to poll workers on the configuration of the polling unit and banning the use of cellphones while voting. Higher consistency of polling officials in guiding voters to roll their ballots avoided spoiling the ballot while also obscuring the voter’s choice from view. These changes enhanced the voters’ privacy and reduced the possibility of vote buying and voter intimidation on Election Day. Enhancements to the biometric verification system – Software enhancements to the smart card reader have increased the rate of successful verification of voters’ biometric data and increased the speed of the voting process. This lessens the burden on voters and polling workers. In addition, smart card readers used for voter accreditation are experiencing fewer malfunctions. Reports from citizen observer groups in Osun State indicated that malfunctions were resolved in timely fashion. Strong commitment by civil society to improve the electoral process – As noted in IRI/NDI’s July 2018 statement, civil society is playing a critical role in the areas of conflict mitigation, inclusion, voter and civic education, and citizen-based voter observation. During this assessment, IRI/NDI heard about additional initiatives underway, including the Access Nigeria Campaign and Center for Citizens with Persons with Disabilities’ advocacy for better inclusion of PWDs on Election Day. As a result of these efforts, INEC adopted the Framework on Access and Participation of Persons Living with Disabilities. Some of the measures were implemented during the Osun State election, such as the use of a Braille Ballot Guide and a form that counts voters with disabilities. Efforts by the International Federation of Women Lawyers to mitigate violence against women has the potential to increase women’s participation in the electoral process and deter psychological and physical violence that too often curtails their participation. The Peace and Security Network is coordinating efforts to identify potential risks of electoral violence and mobilize response efforts. Despite the above improvements, the delegation noted challenges, that if left unaddressed, could limit the ability of Nigerians to experience a fully participatory and credible process. With 140 days left before the elections, there is need to urgently address these issues. Delays in finalizing legal framework for the 2019 elections – The delegation notes consensus among political, civic and governmental stakeholders on proposed amendments to the Electoral Act 2010, which could improve the credibility and transparency of elections in 2019. After weeks of back and forth between the executive and legislative branches, the bill is currently with the National Assembly, which is slated to reconvene on October 9, 2018. However, delays in the amendment’s passage have many Nigerians questioning whether INEC will have enough time to implement these changes for the 2019 elections. Delayed release of funds for the 2019 elections – Nigerian interlocutors expressed concerns regarding timely and sufficient funding for the 2019 elections. INEC leadership has affirmed that it will be prepared for elections if the full budget is released when the National Assembly returns to session. Several electoral stakeholders in Nigeria underscored the need for timely logistical and operational preparations. Security threats – Delegates heard continued concerns about persistent insecurity, particularly in the Middle Belt and North East, which may be amplified in the pre-election environment. Insecurity, combined with heightened political tensions, raise the likelihood of political and/or communal violence, which would disproportionately impact vulnerable populations such as internally displaced persons (IDPs). Should existing conflicts remain unresolved and/or the threat of violence intensify, personal insecurity could deter enthusiasm or prevent citizens from participating in the electoral process. In light of these complex and difficult circumstances, it is incumbent on security services in Nigeria to ensure a safe and secure environment for citizens to exercise their right to vote and to contribute to public confidence in the overall electoral process. Some Nigerians are concerned that security efforts could be used for partisan agendas at the expense of their ability to fulfill their mandate as prescribed by law. Vote buying – The delegation heard complaints about the lack of robust investigation and, where merited, prosecution of alleged vote buying, despite numerous instances reported by civil society groups. Improvements to the electoral administration and procedure and a higher number of political parties vying for elected positions have enhanced political competition and narrowed margins of victory. Tighter political competition heightens the risk of political parties relying more intensively on unethical and illegal means to secure victory, including inappropriate voter inducement schemes and vote buying. Political parties are responsible for their campaigns and are obligated to follow the law. The delegation heard from many stakeholders, including those within political parties, that there is neither sufficient will nor incentive to remedy these issues. Barriers to internal party democracy – The delegation recognizes that some political parties have experimented with direct primaries that empower members to select a candidate of their choice, while others rely on indirect measures for candidate selection. In reality, candidates contesting in party primaries are often imposed on members by political elites and so-called “godfathers.” Political parties lack comprehensive membership lists, which does not provide a foundation for a successful direct primary process. There is also a lack of open and advance communication from national party leaders about the composition of delegate lists and the mode and date of voting. These circumstances can heighten intra-party tension and focus party attention inward at a time when their ability to communicate effectively with voters is paramount. Women’s participation in the electoral process – The delegation understand that there are barriers for women, youth, and PWDs to be active participants in the electoral process, including but not limited to attempts to run for elected office. These barriers include the lack of access to party decision-making structures and financial obligations that are impossible to meet without the support of political party elites to whom aspirants can become politically and/or personally beholden. Prevailing social structures and practices limit the ability of women to enter and advance in politics, and often discourages them from engaging in political life in the first place. Women politicians with whom the delegation met referenced numerous instances of discrimination, which led to their dissuasion from and, in some cases, loss of will to participate in politics. The failure to pass the Gender and Equal Opportunities bill last year in the National Assembly and of political parties to establish and implement voluntary electoral party gender quotas are missed opportunities for increasing women’s political participation and enhancing the electoral environment in Nigeria. Incitement to violence and disinformation – The IRI/NDI delegation observed with concern the use of inflammatory language by political parties, particularly through social media. Much of this rhetoric, which at times contains false or unverified information or hate speech, can manipulate public perceptions, heightens tensions, and fuels the possibility of election-related violence. Following the Osun election, the delegation observed on social media the circulation of false results, misleading photos and videos, and inciting statements by political parties, which contributed to heightened tension during and following the results announcement process. The delegation believes that with political will and through coordinated efforts by all stakeholders, many of the above-mentioned challenges can be addressed to enhance citizen confidence and participation in elections and mitigate violence during and after the polls. In the spirit of international cooperation, the delegation therefore offers the following recommendations to electoral stakeholders in Nigeria, which build upon and reinforce the recommendations of the first pre-election assessment mission. Provide sufficient and timely funds so that INEC and other electoral bodies can fulfill their responsibilities as prescribed by law. Ensure the timely passage of the amendment to the Electoral Act 2010. Ensure that security services maintain the highest level of professionalism and impartiality in facilitating the electoral process, refrain from actions that could be seen as motivated by partisan interests, enable accredited observers and journalists to perform their work, and protect the right of citizens to exercise their votes freely. Enforce laws against election malfeasance (including vote buying) and ensure equal and robust application through such measures as the establishment of the Electoral Offenses Commission and Tribunal. Respect and uphold press freedom and freedom of information laws in letter and in spirit. Take concrete measures to combat vote buying through voter education campaigns, enforcement of laws against voter inducement, and nationwide ban on cellphones in the voting cubicle. Enhance as much as possible the physical space for voting to facilitate the processing of voters on election day. Prioritize training for polling officials on configuring polling units to enhance ballot secrecy while maintaining a transparent voting process. Decentralize the Permanent Voter Card (PVC) collection process from the local government level to the ward and community levels and intensify voter sensitization to increase PVC collection rates. Implement the PWD framework, including operationalizing the Braille Ballot Guide and Form EC30PWD nationwide for Election Day, conducting voter education to increase the participation of PWDs in the voting process, and improving accessibility of polling units. Undertake measures to increase understanding of the vote collation process and ensure access of observers and party agents to collation centers. Publish polling unit-level registration and results data on INEC’s website in a machine-readable format. Release specimen ballots well in advance of Election Day so that civil society and other electoral stakeholders can conduct sufficient voter education to orient voters. Engage, at the leadership level, in inter-party dialogue, such as the one facilitated by the National Peace Committee in 2015, and adhere to agreed provisions therein. Proactively investigate and, where substantiated, take punitive action against party members and supporters who use hate speech and violence (including through gangs) or disseminate false information during the election cycle. Demonstrate thorough adherence to campaign finance regulations and commit to the proper use of resources in engaging voters. Provide access to INEC auditors per applicable regulations. Adhere to and enforce existing codes of conduct that commit parties to democratic electoral standards regarding campaign use of resources, engagement of voters, peaceful resolution of disputes, and acceptance of verified and credible results. Empower the Inter-Party Advisory Committee (IPAC) to perform its coordination and mediation functions effectively with a priority on state level engagement. Upon conclusion of party primaries, promote party cohesion through equitable access to dispute resolution and reconciliation mechanisms. Participate in public debates and otherwise enable candidates to reach out to citizens so that the latter are duly informed of party and candidate platforms and policy positions. Devote time and attention to women and youth candidates in particular. Begin voter education as soon as feasible on ballot design, use and secrecy; vote buying and other illegal practices; the role of security forces in the voting process; and vote tabulation and collation procedures. Begin to focus voter education in IDP camps or areas where IDPs have recently returned home so that they are afforded the same opportunities to participate in the voting process. Promote the peaceful participation of citizens in the electoral process and draw on existing inter-religious and peacebuilding bodies to enhance their efforts. Disseminate information about citizen-based observation findings and analysis to increase public knowledge and understanding about the conduct of the elections. Provide balanced coverage of political activities and opinions during primetime television and radio shows, and in the print media. Without infringing on freedoms of the press and expression, refrain from disseminating proven “fake news” or inciting language by electoral stakeholders that could inflame tensions around the elections. Provide political parties with ample opportunities to share information on their policies and manifestos with voters. Disseminate messages on the importance of peaceful participation in the electoral process. Support Nigerian civil society at the state level to implement creative and strategic programs around voter and civic education and conflict mitigation that target groups of voters most in need of information, including women, youth, PWDs rural populations, and IDPs. Continue to regularly message to the main political actors and parties on the importance of respecting the rule of law and holding credible, meaningful polls. IRI and NDI will continue to observe the electoral process and will issue additional statements as appropriate. IRI and NDI will also field joint international election observation missions for the 2019 general elections. 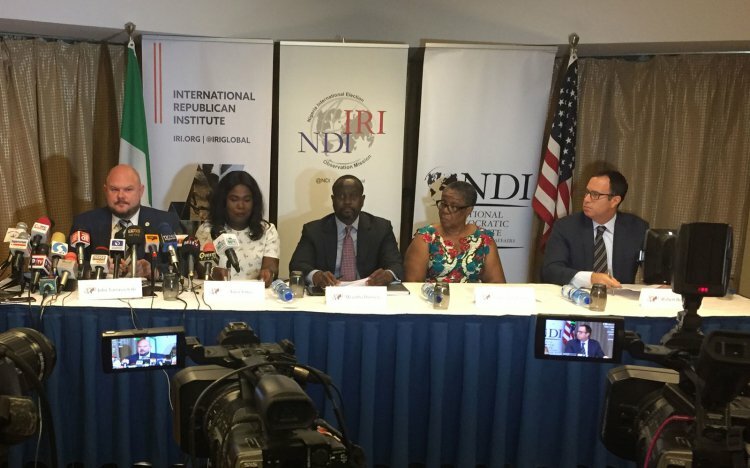 IRI and NDI will cooperate with other international observation missions and Nigerian citizen observer efforts in accordance with the Declaration of Principles for International Election Observation and Nigerian law. The delegation’s work was funded by the United States Agency for International Development (USAID).